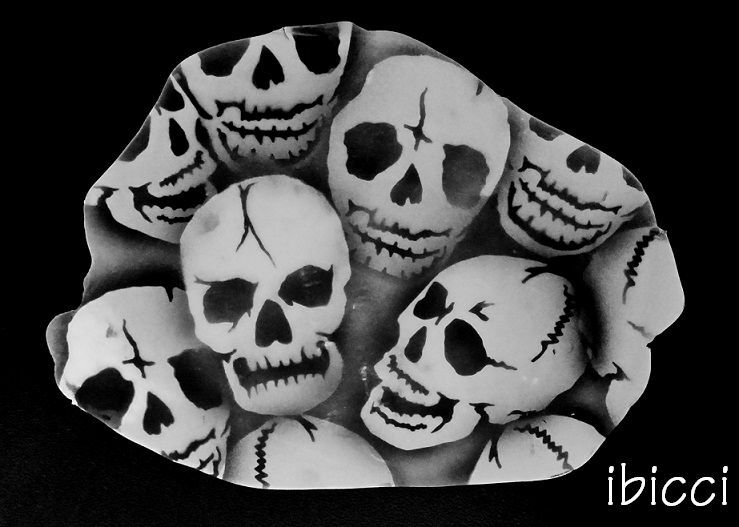 Last year I replaced Wellingtons' Stiletto Studios hand cut skull stencil which Becs had been using for quite some time to produce wedding and other cakes (for an example see here). 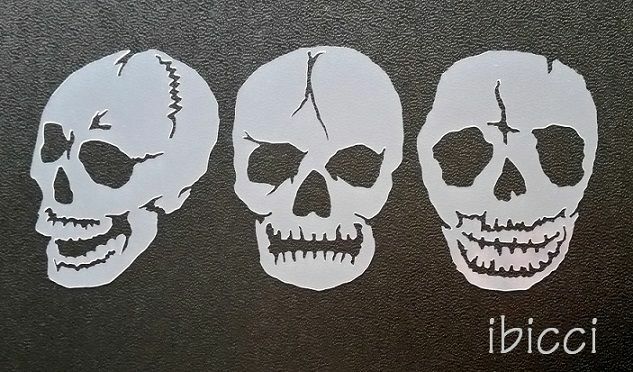 When I was asked to create another Skull stencil for a wedding cake this year, I decided to do at least 3 skull stencils which could be overlapped and for both Cakes and Cookies. Not quite the usual stencil which you lay down then airbrush the whole, these stencils are designed to be held to the cake/cookie and airbrushed in and around, overlapping as you go to create the effect you want. 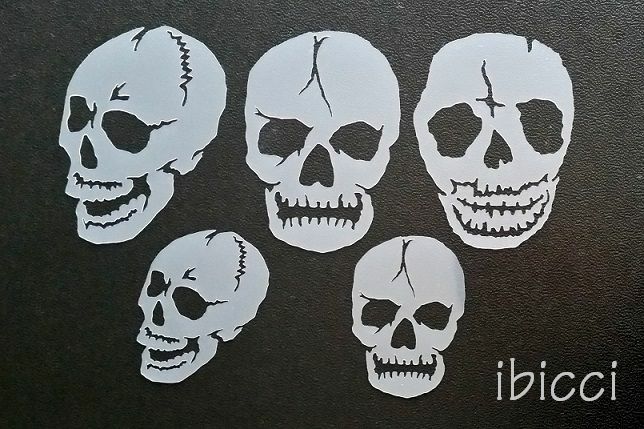 I'm hoping to do another video using these, but for now, please click on the following link to watch the test video which gives you an idea of how to use the ibicci Skull stencils. 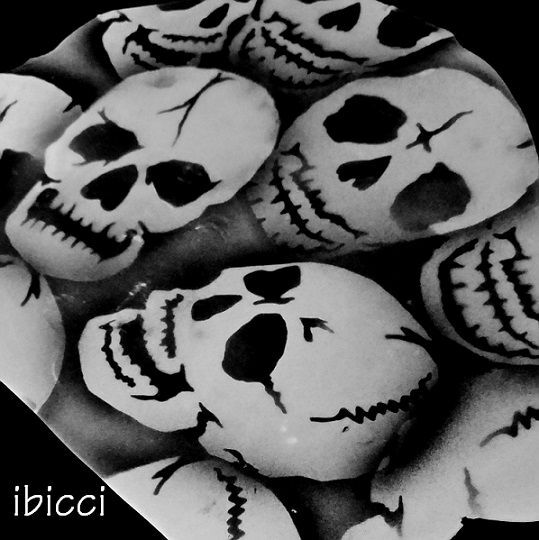 Note: This test was done using Americolor Black onto rolled out Fondant using the 4" stencils - these designs have been tweaked prior to finalising and uploading to the website.